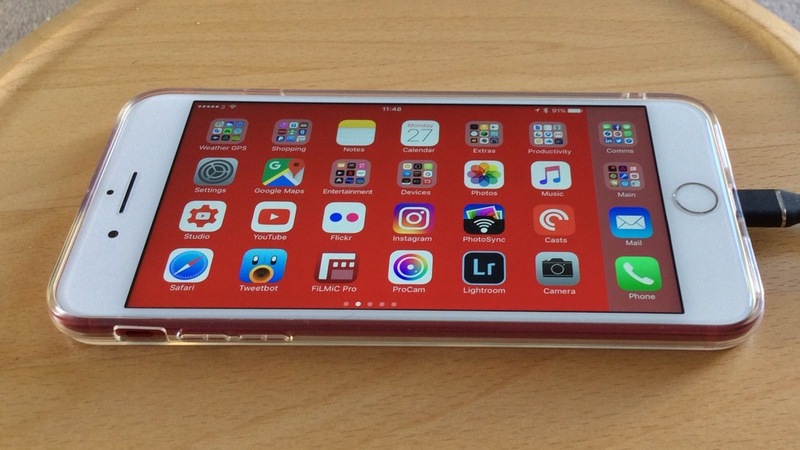 So I received my lovely red iPhone 7 Plus over the weekend and across the internet many people were saying, “if only it had a black front instead of white”. Personally, when you see the red iPhone in person the white front is amazing. But I already knew how I was going to alter the front to black to see for myself whether the black version looked better. 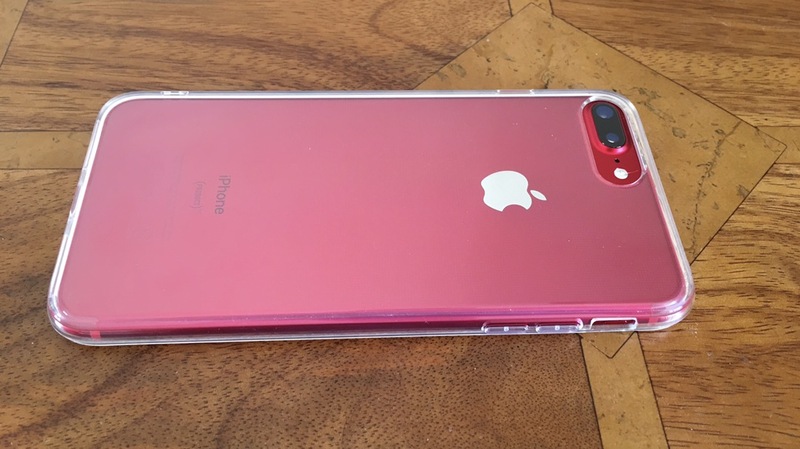 I also have tried many Apple cases with the red iPhone 7 Plus. 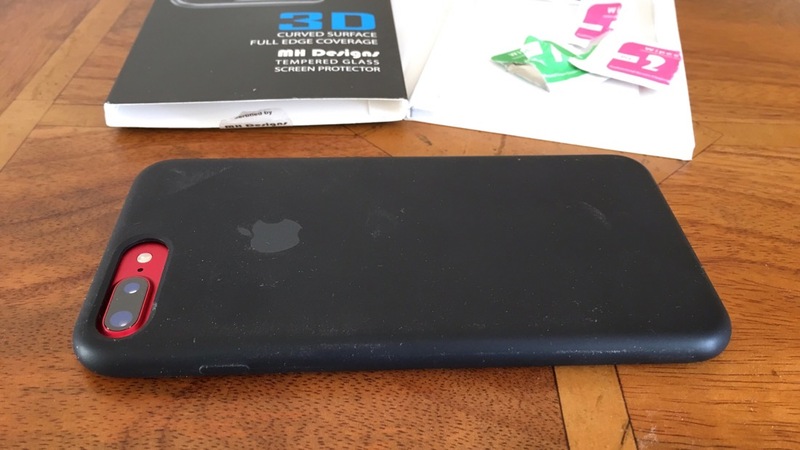 The black silicone, sea blue leather and saddle leather cases and none look right. 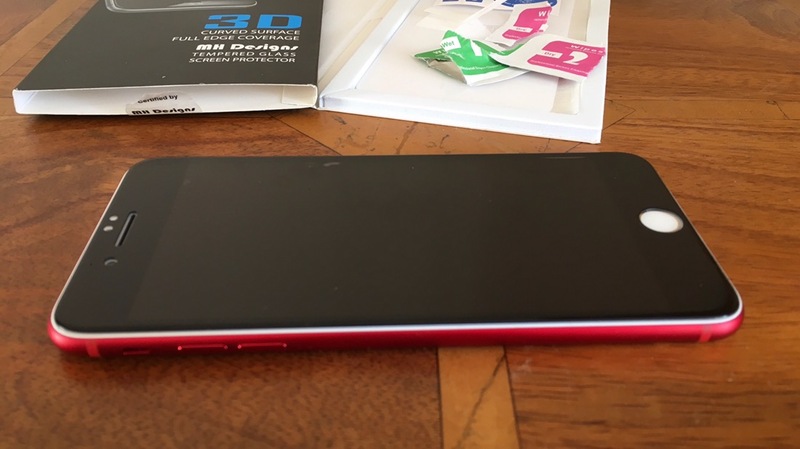 I also have seen the Apple red silicone case. This is the wrong shade of red. So the only option was a clear case. So for less than £12, I now have a black front red iPhone and a clear silicone case. This is how. 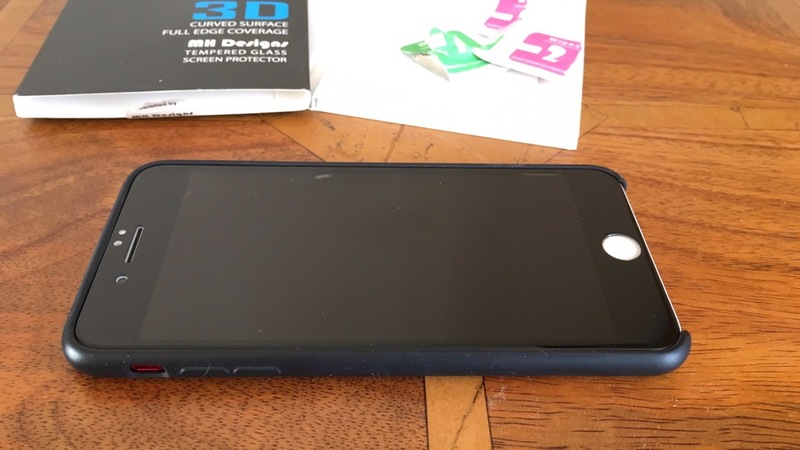 I applied a 3D black glass protector. I will have a note of all the items I used at the end. Don’t use a 2D glass protector as this won’t fit properly. 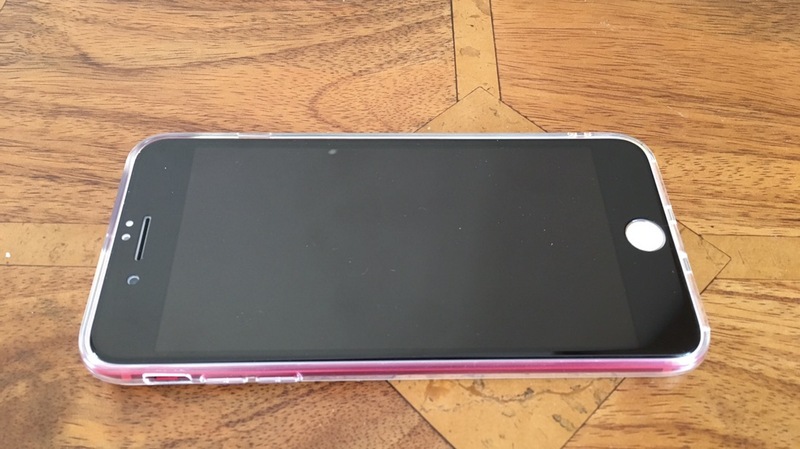 Here’s a top down view with the black screen glass protector fitted. As you can see, there is a slightly amount of white around the edges and the Touch ID button is still white. I put the iPhone in the black Apple silicone case. Hopefully, you’ll agree that this combination doesn’t look right. However, the white border on the front is hidden by the case. So to show off the full colour of the red iPhone 7 Plus, I fitted a clear silicone case. The white border is not visible now. The only issue is the white Touch ID button. I have thought about using a black marker pen, but I’m not sure if this will work and or void the warranty. So for the sake of a white home button I can live with this set up. The 3D glass protector and silicone case were £5.99 each. 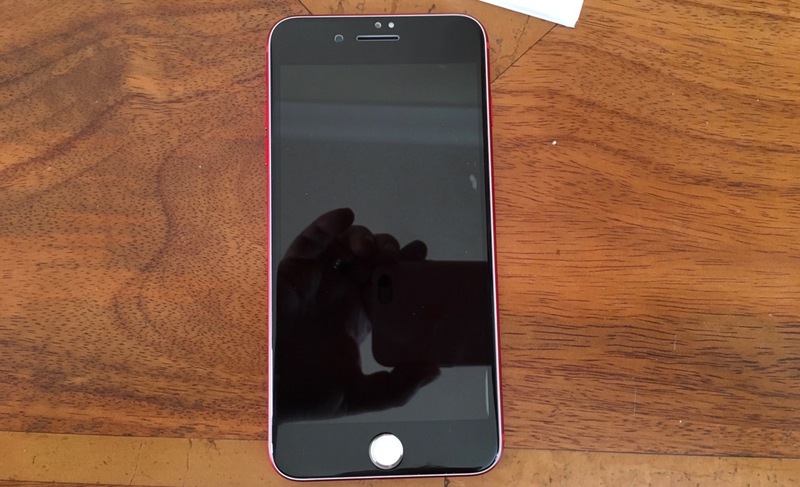 So to refresh you, this is what the original red iPhone 7 Plus looks like. My Red iPhone Unboxing & 1st Impressions. So do you prefer the white or black front on the red iPhone 7 Plus?